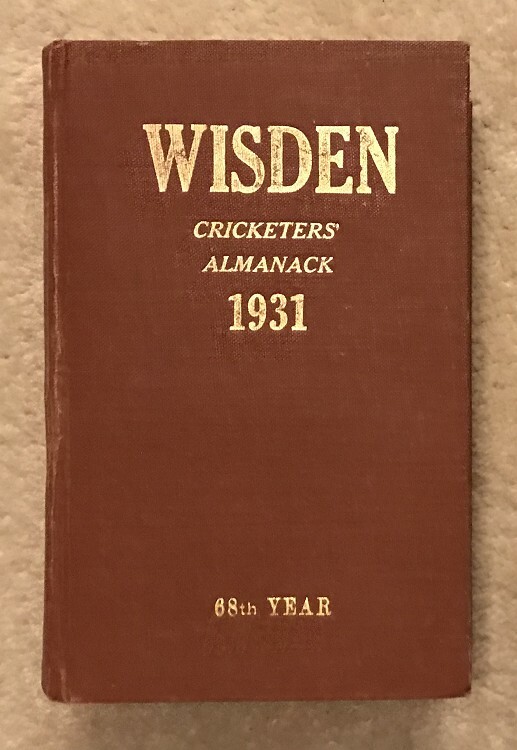 This lot is an 1931 Original Wisden , Rebound with its original covers retained, it is in brown boards with gilt to the spine and front. The bound in covers are very nice, a touch of darkness to the rear cover. Internally nice and clean with an excellent photoplate, a nice book.